The Banyan, Chennai, India works with people who live at the margins – homeless, poor and living with a mental illness. 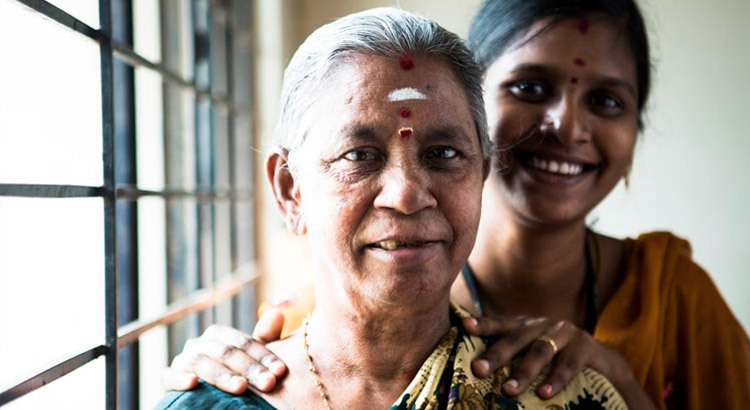 Faced with poor prospects of successfully reintegrating Pattammal with family due to her need for ongoing care and limited information that she was able to give, The Banyan offered Pattammal a place in the Home Again programme. This is a non-institutional, choice based, inclusive living space, offered through rented accommodations in the community with a range of supportive services for people with persistent mental health issues. These safe spaces mimic a familial environment, and offer allied supportive services such as case management (including emergency and critical time interventions, detailed biopsychosocial assessments, and individualised care plans), proximal skills development hubs, facilitation of government welfare entitlements, access to healthcare, rental subsidies, and onsite assistance for activities of daily living. The opportunity to participate in community life and cultural activities, form relationships, engage in meaningful work, and liaise with local governance systems creates an inclusive ecosystem that nurtures individual capabilities, promotes social mobility, shatters myths and stigma related to mental ill health, and fosters inclusive resilient communities. Pattammal, today still lives in such a home with four other friends, each with a quirk or two to accept, to cherish and to inspire. Tall, stately and elegant, her presence in the daily hustle and bustle of the home has a calming effect. She is ever smiling despite her daily struggles with hallucinations. On occasion she allows those around her a rare glimpse into what her life may have been: one filled with smells, sights and sounds of a rich culture in food, household artefacts and rituals. She spends her life in the open environs of an idyllic village off East Coast Road, Chennai. Daily crafts activities at the vocational training unit, visits to the beach and back-to-back Hindi movies on the weekends pepper her life; the sounds of the ocean nearby serving as the perfect backdrop. The Banyan, Chennai, India works with people who live at the margins – homeless, poor and living with a mental illness. Through its work The Banyan campaigns on behalf of these people for the right to rescue, the right to care, the right to options for their future and the right to life.